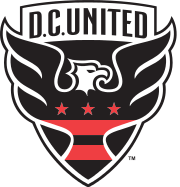 DC United has not submitted any formation. Alfie Adams in a tackling... and wins it! Scott Edwards runs towards Alfie Adams... and looses the ball. Auberto Zucchero has the ball and sees his opponent in front of him... but he can win the tackling. Header by Tiberio Colombari... that was close. Adam Eliot shoots... but the goalkeeper can somehow catch it. Andrea Peano shoots... but the goalkeeper can somehow catch it. Neopolo Pagano has the ball and sees his opponent in front of him... but he can win the tackling. Nereo Nuzzoli tries to pass the ball to the strikers... but misses! Substitution: Andrea Peano Player ON / Player OFF Onofrio Lanza. Matthew Armstrong has the ball and sees his opponent in front of him... and looses the tackling. Kevin Blair passes the ball... and the ball is out. Tooor fur LA Galaxy! Naldo Lucero legt auf Alfie Adams ab, der nur noch einschieben muss. Auberto Zucchero steals his opponent's ball in a tackling. Auberto Zucchero shoots... but the goalkeeper dives to get the ball. Tiberio Colombari shoots... but the goalkeeper can turn the ball around the goalpost. Kevin Blair shoots towards the goal... but into the arms of the goalkeeper! Alfie Adams in a tackling... and looses it! Cross by Adam Eliot... into the clouds! 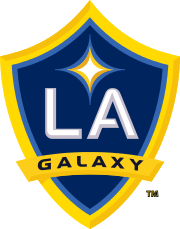 Tooor fur LA Galaxy! Neopolo Pagano legt auf Naldo Lucero ab, der nur noch einschieben muss. Auberto Zucchero shoots... but the goalkeeper can turn the ball around the goalpost. Cross by Scott Edwards... into the clouds! Tooor fur LA Galaxy! Torsten Möller legt auf Auberto Zucchero ab, der nur noch einschieben muss. Benjamin Sawyer has the ball and sees his opponent in front of him... and looses the tackling. Cross by Tony Lambard... into the clouds! Kevin Blair lets taken away the ball. Alfie Adams shoots... but the goalkeeper can somehow catch it. Domiziano Lombardi kommt für Alvaro Yuste. Kevin Blair has the ball and sees his opponent in front of him... and looses the tackling. Kevin Blair runs towards Alfie Adams... and looses the ball. Alfie Adams lets taken away the ball. Alfie Adams steals his opponent's ball in a tackling. Benjamin Sawyer passes the ball towards the centre... but the opponent catches it. Matt Ward hits his opponent and gets the yellow card for that. Matt Ward has the ball and sees his opponent in front of him... and looses the tackling. Matthew Armstrong passes the ball towards the centre... but the opponent catches it. Matthew Armstrong tries to pass the ball to the strikers... but misses! Auberto Zucchero runs towards Matthew Armstrong... and looses the ball. Tiberio Colombari shoots... but missed. Logan Young passes the ball... and the ball is out. Auberto Zucchero shoots towards the goal... but into the arms of the goalkeeper! Alfie Adams has the ball and sees his opponent in front of him... but he can win the tackling. Nereo Nuzzoli kommt für Christopher Thompson. Scott Edwards passes the ball... and the ball is out.